relationships and a sense of community to prevent and address conflict and wrongdoing. behavior affected others, acknowledging that the behavior was harmful to others, taking action to repair the harm, and making changes necessary to avoid such behavior in the future. Who has been harmed/affected by what you have done? In what way? What affect has this incident had on you/others? 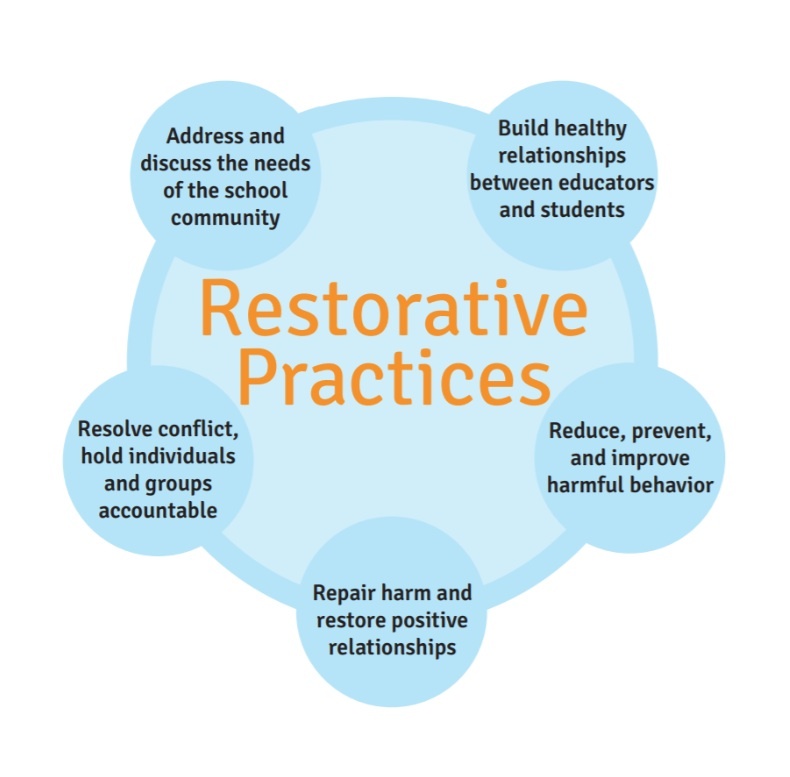 Restorative practices work when they are implemented school wide and integrated into the fabric of the school community. When the whole school is infused with restorative strategies, it becomes easier to address issues faster and respond in a thoughtful way because the caring and supportive culture is already present. We even encourage our families to incorporate Restorative Practices at home to further support Freshwater’s core values.